Federal investigators are looking into reports that just closing the door has caused airbags to deploy in some Honda Accords. In its report of the investigation, the National Highway Traffic Safety Administration mentions 28 complaints of side airbag deployments as the cars' doors were closed. The airbags are supposed to protect vehicle occupants when their car gets hit from the side, a very dangerous type of impact. Airbags deploy with a explosive force, smoke and a loud, startling "pop!" Two of the complaints involved injuries, according to NHTSA. 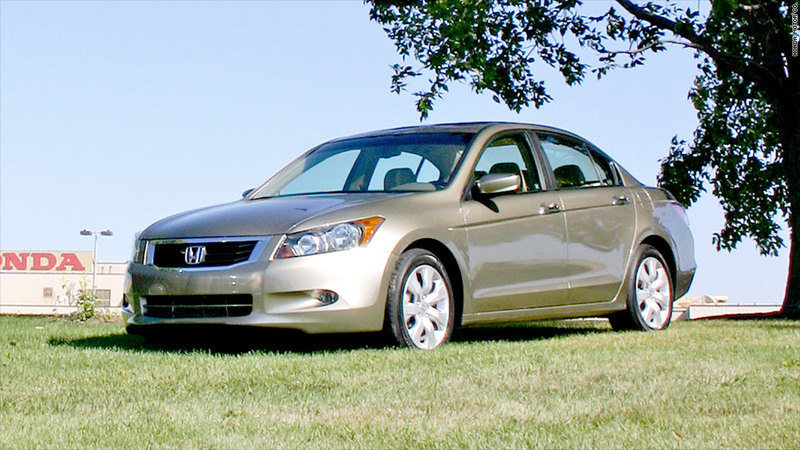 The cars involved are 2008 model year Accords. There are about 363,000 cars that could be involved, NHTSA said. "Honda (HMC) will cooperate with the NHTSA through the investigation process, and we will continue our own internal review of the available information," the automaker said in a statement. A 2006 study by the Insurance Institute for Highway Safety found that side airbags that were designed to protect occupants' heads reduce fatalities in side collisions by about 37% in cars and 52% in SUVs. Side airbags were first introduced in 1995. For now, NHTSA's Office of Defect Investigations has opened a "Preliminary Evaluation" looking into the possible scope of the problems and its safety implications.